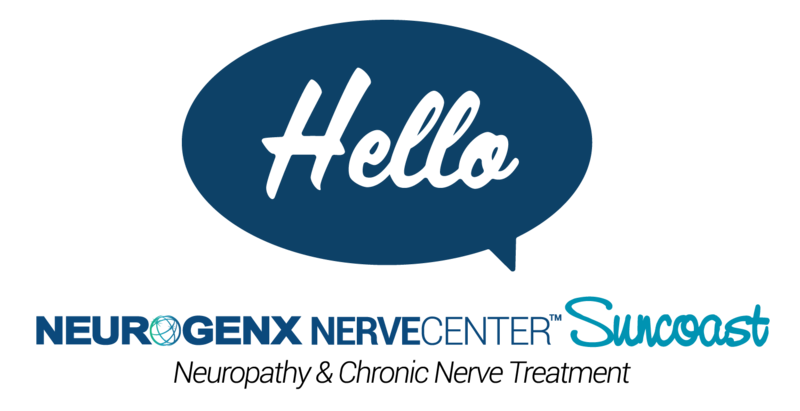 Hello from Neurogenx Nerve Center Suncoast! I am Carol Merrill, nurse practitioner and owner with my husband George, of the Suncoast Neurogenx office. I have been working with Neurogenx for more than 1 ½ years so I know how well this treatment works. When I was presented with the opportunity, I was excited to open my own clinic. Now I will tell you a little bit about myself. With more than 40 years of medical experience, I have worked as a registered nurse and advanced registered nurse practitioner in Labor and Delivery, Neonatal Intensive Care Unit, as a supervisor in home health care and in women’s health care. I married my best friend, George, in December 2016 and share a home and his 9 year old chocolate lab/ pit mix named Chloe. We like to spend our time away from work riding our motorcycles and doing motorcycle ministry work with our church. I’m happy to be working with Neurogenx and want to share our care and knowledge with all who suffer with neuropathy. I invite you to write me directly at suncoast@neurogenx.com or can reach me at 727-300-5100.